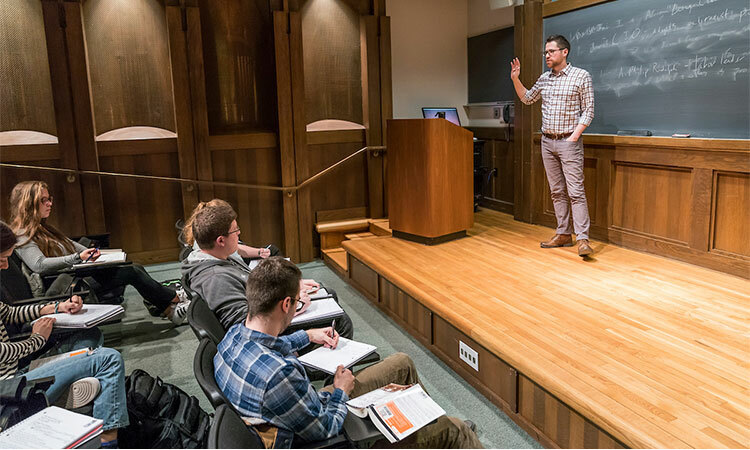 Sam Rosenfeld, assistant professor of political science, teaches a political science course in Lawrence Hall, March 26, 2018. Atlantic Senior Editor David Frum interviews Colgate Assistant Professor of Political Science Sam Rosenfeld in this new piece about the current state of political polarization in American politics. Rosenfeld’s newest book, The Polarizers: Postwar Architects of Our Partisan Era, has generated national interest for how it examines the current political landscape through analysis of political party decisions from the 1950s through the 1970s.